Time for another round-up of some of the books I’ve read lately. Nikesh Shukla’s follow-up to Coconut Unlimited is another exploration of how personal identities are shaped, this time revolving around the online world. Kitab Balasubramanyam is a writer who performs better on social media than he does in real life. Having lost his job and girlfriend, he’s drifting along – until a namesake who’s found him on the internet pays a visit, and his brother goes off to the US to find someone with the same tattoo. Shukla gradually reveals just how much Kitab is struggling to find stability for himself, and the lengths to which he’s prepared to go for it. Published by The Friday Project. In 1895, Italy’s first cookery writer, Pellegrino Artusi, takes a break from his travels at the castle of Barine di Roccapendente – only for his rest to be disrupted when a body is found in the cellar. This is a rather jolly and enjoyable murder mystery, whose waspish third-person narrator takes swipes at the aristocratic characters, and makes arch comments about writing a novel set in the nineteenth century. The tongue-in-cheek quality of Marco Malvadi’s prose keeps it on the right side of charming, and I definitely want to more by him. Published by MacLehose Press. 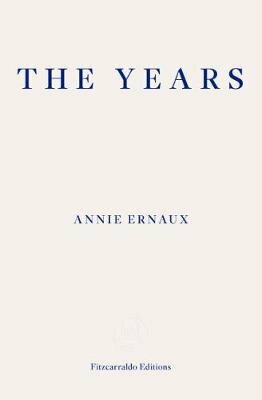 This is a short book about the life of the Annie Ernaux’s mother, but it’s not a straightforward memoir. It engages with the author’s deep-seated feeling that she needed to write about her mother, and the inevitable limits to what she could achieve by doing so. There’s a real power in the underlying themes of change and loss. Published by Quartet Books. The fourth entry in Salt Publishing’s annual anthology series. It’s a varied mix: there are writers whose work I’m familiar with and admire, such as M. John Harrison, Christopher Priest, and Stuart Evers. Then there others who were unknown to me: there’s David Grubb, whose ‘Roof Space’ tells poignantly of the relationship of a father and son by way of their model railway. In ‘Ladies’ Day’, Vicki Jarrett examines how a group of young mothers are searching for a new sense of direction in life, focused through a day at the races. ‘Guests’ is Joanne Rush’s first published story, and I hope there will be many more, as this one is superb: the tale of a woman whose house becomes filled with the ghosts of war dead while her husband is working in Bosnia. Whatever your taste in short fiction, there should be something to intrigue in here. 1960s Majorca: Guillermo Stein is a newcomer at school, mysteriously different from the other boys. A group of his schoolmates tries to find out more about him; what they discover goes far beyond the life of one individual. What makes The Stein Report work for me is the sense of friction between the worlds of adults and children. The schoolboys’ world is complete to them; they know its contours. But when investigating Stein gives them a partial window on the adult world, we see just how much they still have to learn. Published by Hispabooks. In 2010, Hetty Deveraux visits her inheritance – an old house gone to seed in the Outer Hebrides – and uncovers human remains while repairing the place. A hundred years earlier, Hetty’s ancestor Beatrice marries the owner of Bhalla House, painter Theodore Blake. An intriguing mystery unfolds between the two timelines, but perhaps strongest of all is Sarah Maine’s evocation of the raw Hebridean landscape and the lives of its inhabitants. Published by Frieght Books. I really liked the idea of this latest title in The Friday Project’s Confessions series; it promised to open a part of the book world that we don’t usually get to see. And so it does – though only to an extent, naturally. Andrew Crofts mixes tales of his encounters with celebrities, politicians, and others with a story to tell; and entries on the day-to-day of the writing life. It’s an interesting combination that reveals a varied professional life; Crofts’ enthusiasm for what he does is palpable. I reviewed Neil Williamson’s debut story collection way back in 2006; now he’s followed it up with a first novel. The Moon King looks rather different from much of Williamson’s short fiction, but it has the same dextrous approach to the fantastic. In a city whose inhabitants’ temperaments change with the phases of the moon, Anton Dunn wakes one day to find himself closer to the centre of power than he ever thought he’d be. There’s a vein of strangeness running through this novel that adds an extra dimension to an already intriguing story. Published by Newcon Press.